Although we don’t know many foreign films, these five movies captured our attention recently. They’ve helped with our language learning and are just enjoyable to watch! Some are beautiful, others sad, but they all tell amazing stories from different cultures. We both first saw this movie in our french classes and fell in love. The movie, which is based on a true story, beautiful captures the ups and downs of an unexpected relationship. Set in Paris, it follows the story of a rich quadriplegic and his caretaker. 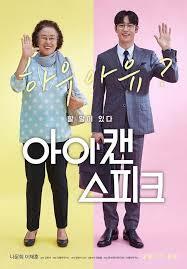 This adorable Korean movie will have you laughing at one minute and crying at the next. A seemingly annoying woman has a tearjerking story behind her madness and eventually gets the help of a kind young man to teach her English. She finally gets the opportunity to travel to the US and speak her truth. The way he looks is a Brazilian film about a blind teenage boy searching for his own independence while he falls in love with the new boy at school. This movie is cinematically gorgeous and one of my favorite movies of all time. You will fall in love with these characters as they navigate their relationship throughout the movie. This stunning movie from India tells the story of a young woman who’s struggling with her love life and career. She meets a therapist that teaches her how to love life again through unconventional tactics, and they form an incredible bond. Youth is a Chinese movie that follows the journey of Xiaoping, a girl who joins the Chinese Army’s theater troupe. She is rejected socially, and her dreams are interrupted by the Chinese revolution. The movie comes full circle by the end, and will leave you in tears… in the best way.